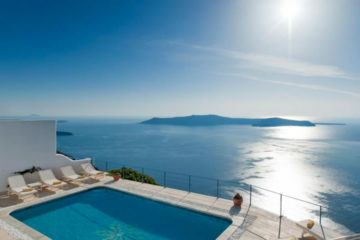 Minimal suites with private pools and caldera views, located in Akrotiri. You can also relax at the common pool area, drink a cocktail at the bar, enjoy spa treatments and dine at hotel’s restaurant. 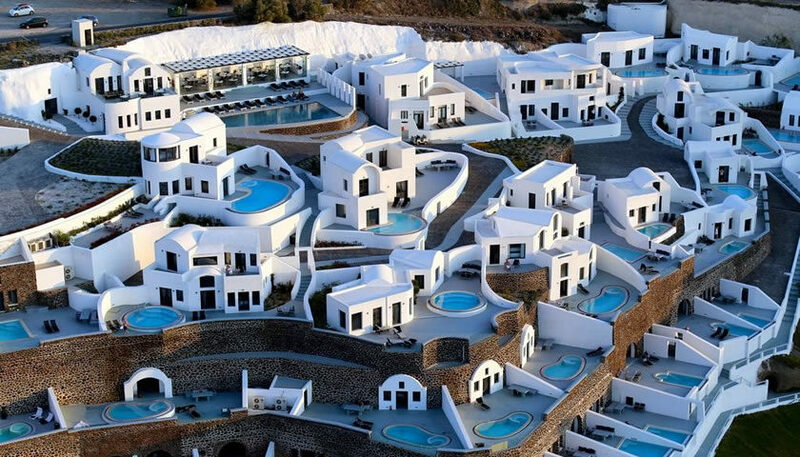 Specify the dates of your visit to Santorini to check availability and prices of Ambassador Santorini Luxury Villas & Suites.